Allows developers to physically integrate a fingerprint reader into their custom hardware. 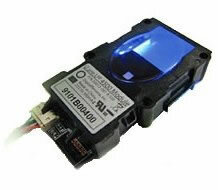 The U.are.U 4500 Fingerprint Module is a small form-factor fingerprint reader designed for integration into OEM equipment where fingerprint authentication is needed. It works seamlessly with DigitalPersona developer SDKs. A user simply places a finger on the reader window, and the reader quickly and automatically captures and encrypts the fingerprint image before sending it to the DigitalPersona IDentity Engine for verification. DigitalPersona products utilize optical fingerprint technology for superior image quality and product reliability. The combination of a U.are.U 4500 Fingerprint Module with the DigitalPersona IDentity Engine produces an unmatched ability to recognize even the most difficult fingerprints.